On the blog today we look at the UK's ratification of the Minamata Convention, the various actions that industry are taking to reduce plastic waste and Minister Coffey's visit to East Africa. The UK Government has become the latest party to the Minamata Convention, a global treaty aimed at reducing emissions and releases of mercury and mercury compounds due to human activity. Mercury is listed as one of the World Health Organisation’s (WHO) ten chemicals of major public health issue, and is a pollutant of global concern as it can travel long distances in the atmosphere. The global trade in and use of mercury disproportionately affects developing countries, where governments and authorities do not have the controls or expertise to deal with mercury safely. 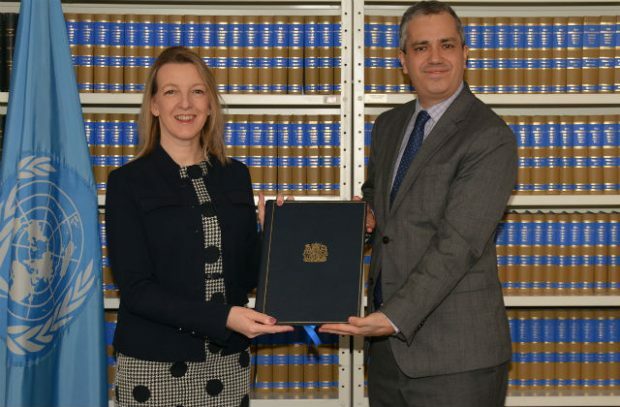 Santiago Villalpando, Chief of the Treaty Section, Office of Legal Affairs, at the UN took receipt of it from Susan Dickson, Legal Counsellor, UK Mission to the UN in New York. Being part of the Convention builds on the UK work to reduce the use of mercury both home and in the developing world with the introduction of new EU and UK Regulations that came into force earlier this year. The UK has been reducing mercury emissions and the use of mercury in products over the long term, and has robust import and export controls, but mercury is a global issue. Ratifying the Minamata Convention allows us to work with other countries and show leadership towards a global solution that addresses all stages of the mercury life cycle. This is another clear demonstration we will be the first generation to leave the environment in a better state than we inherited it. To support developing countries, the UK has also pledged £108,000 of funding to the Specific International Programme of the Minamata Convention, which will help with early implementation of the convention, worldwide. There is positive coverage today of encouraging action from industry and charities to reduce avoidable plastic waste. The Daily Telegraph reports the National Trust has pledged to replace environmentally unfriendly plastic plant pots with biodegradable alternatives within the next four years, an initiative that has been supported by horticulturalist Month Don. Yesterday the Trust also announced it is phasing out single use plastics at its cafes and shops by 2022. The Times and ITV online report Selfridges has removed fizzy drinks bottles from sale as part of a campaign to reduce ocean pollution, switching all carbonated drinks to cans and glass bottles. I’m delighted to see businesses cutting down on plastic waste. Plastic can be lethal to our precious environment and wildlife and there is a compelling case for action. Industry has a vital role to play in driving out avoidable plastic waste, and with more businesses joining others and leading by example, we can all leave our planet in a better state than we found it. Government has recently announced a range of measures to eliminate all avoidable plastic waste including a world-leading ban microbeads, and proposals to extend the 5p plastic bag charge and explore plastic free aisles in supermarkets. 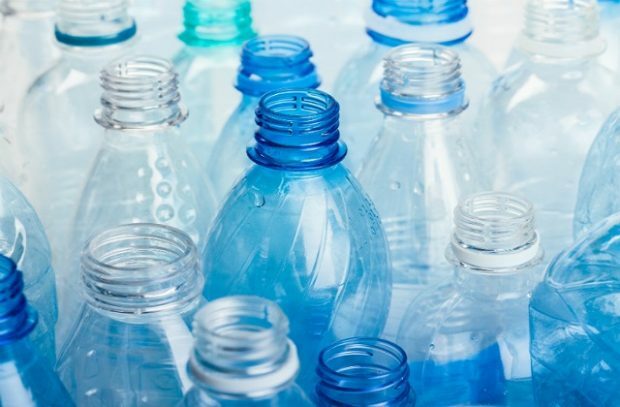 Earlier this month government announced plans for a deposit return scheme to increase recycling rates of drinks bottles and cans, and launched a call for evidence on using the tax system or charges to address single-use plastic waste. 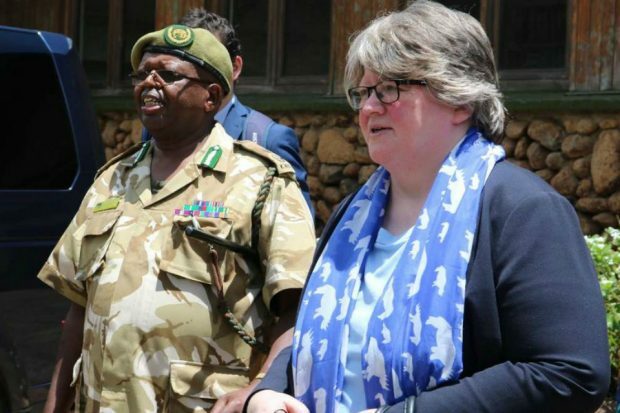 Today (06 April) Minister Coffey is in Uganda to discuss the upcoming Commonwealth Heads of Government Meeting (CHOGM) and see local work to reduce plastic use and fight the international illegal wildlife trade. In Kampala, Minister Coffey met Dr Mary Kitutu, the Ugandan State Minister for the Environment. The Ministers discussed the upcoming CHOGM as an opportunity for countries to work together to tackle environmental issues under the CHOGM ambition of ‘Delivering a Sustainable Future’. 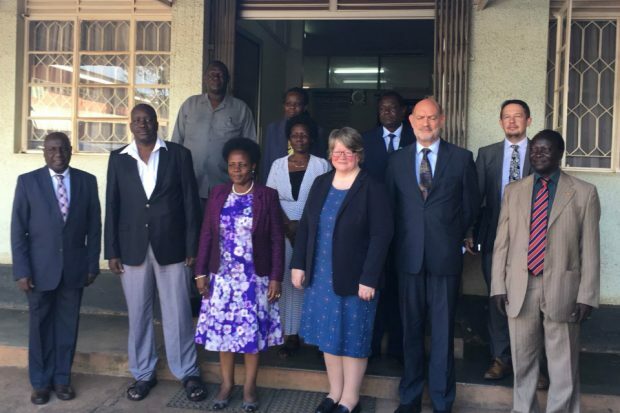 At the Ministry for Environment and Water in Uganda, Minister Coffey with Dr Mary Kitutu and her team, as well as the British High Commissioner, Peter West. The Minister also met Ugandan Minister for Foreign Affairs, Hon. Sam Kutesa and visited the Nile Basin Initiative secretariat in Entebbe. 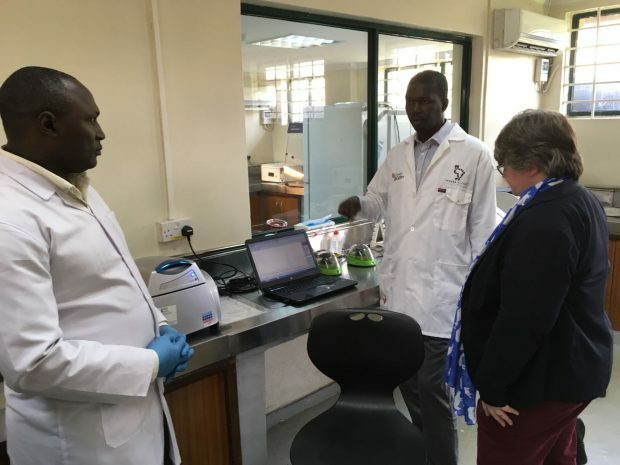 She also spent time at Murchison Falls National Park and saw some of the work the Uganda Wildlife Authority (UWA) is carrying out to protect Uganda’s diverse wildlife and ecosystems. It marks the end of the Minister’s visit to Africa, having met officials in Kenya earlier this week. This week the Environment Secretary, Michael Gove, announced that the UK would introduce a ban on ivory sales. African media has covered the ban: The Star and New Vision Ugandan TV. The total ban on ivory sales puts the UK at the forefront of global efforts to address the drastic decline in the elephant population, demonstrating our belief that the abhorrent ivory trade should become a thing of the past. I welcome the opportunity to discuss this issue and many others with the Ugandan Government and I hope through this continued dialogue we can further continue the successful partnership of our two countries. 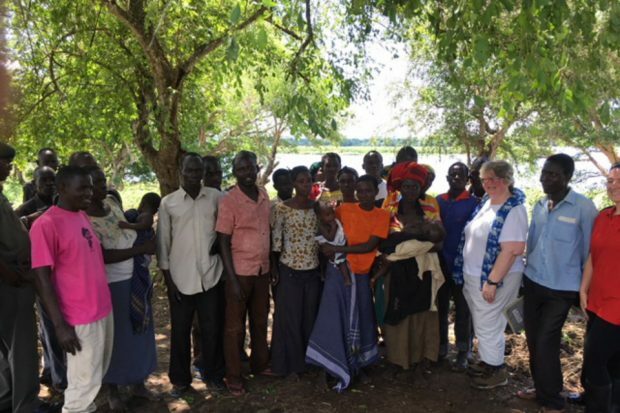 Minister Coffey meeting the local community at Murchison Falls National Park which has been supported by Defra's Illegal Wildlife Trade Challenge Fund.